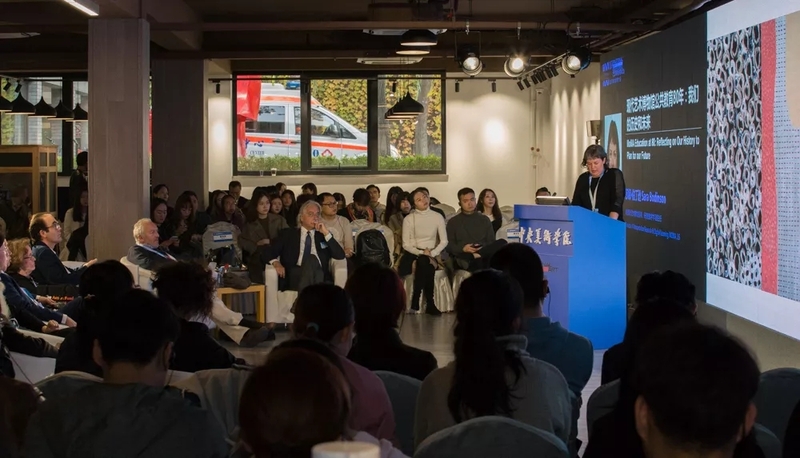 The grand event of the International Art Education Conference, took place in CAFA. 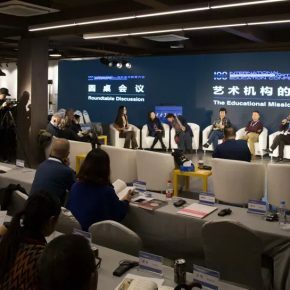 As an important part of CAFA Centennial Celebration, this top international academic conference for the higher art education opened in the most beautiful season in Beijing. 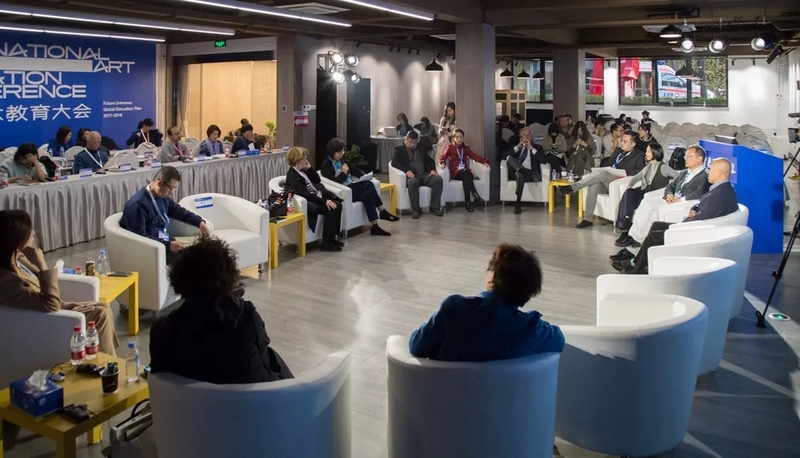 Nearly 300 guests including 67 principals, directors and experts from 114 art institutions, art organizations from over 30 countries and regions gathered in CAFA to discuss the global communication and cooperation for art education in our new era. It is also the largest and most advanced international art education conference hosted by Central Academy of Fine Arts so far. 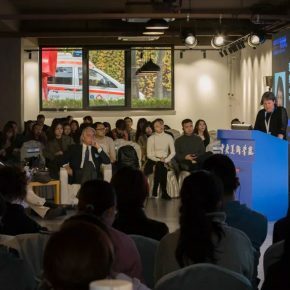 On the afternoon of Nov 2nd, the Arts Administration Forum launched the International Art Education Conference which opened at the west wing of Academy History Hall, CAFA. 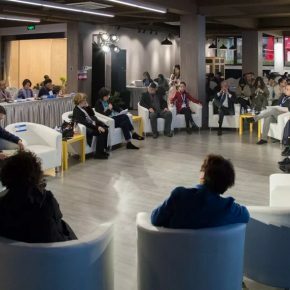 With the topic of “The Education Mission of Art Institutions”, the Arts Administration Forum invited 45 official guests including scholars, experts, directors and academic leaders from 34 institutions in 10 countries and regions all over the world. Nowadays, education is the ultimate goal of all art institutions, which means art institutions, including museums, have the essential mission in education. 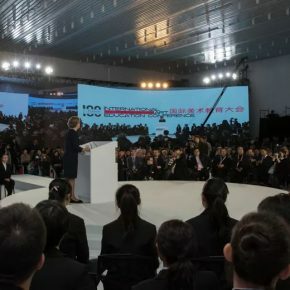 The leaders of art institutions will need to make great efforts in education and art institutions are playing and will play a more important role in education. As a renowned expert in the international art administration circle, Professor Joan Jeffri initiated the post-graduate program for Arts Administration in the Teachers College, Columbia University in 1991, which is the oldest and largest educational college in the United States, and served as the project director there for 20 years. In the keynote speech session, Professor Joan Jeffri gave a speech on the topic of “Education—Its Many Roles in Art and Cultural Institutions”. 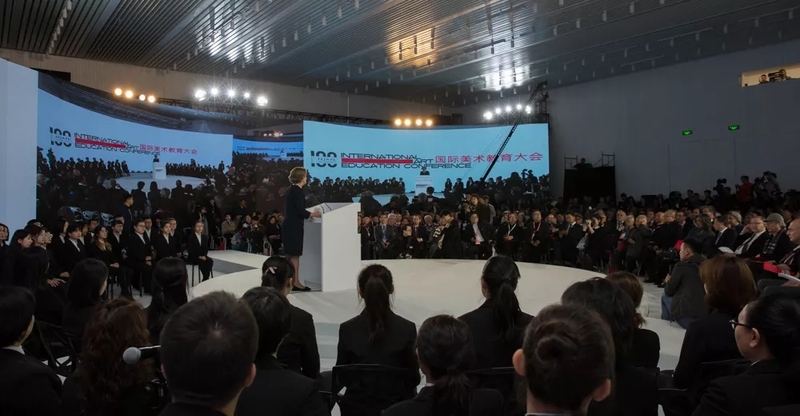 She began by declaring that “in the 21st century, the educational goals of arts and cultural institutions were not limited to its original range, ‘education for different social strata’ any longer, but went for the diversified fields. As for the inheritance of these institutions, the educational function also occupies an increasingly pivotal position. Like adhesive, it urges these organizations to put education into practice around a collective goal. In several sections, “Education + Capital”, “Education + Administration”, “Education as the social equity” and “Education as the medium of social contact”, Professor Jeffri introduced several representative cases which develop the educational function such as The Metropolitan Museum of Art, The New York Public Library and Chandler Center for the Arts, Arizona. Afterwards, she analyzed the policies and methods of American art institutions in balancing educational missions with the maintenance of funds, raising the standard of educational activities, maintaining social equity and human equality, participating in community work and using emerging social media. Her wonderful oration opened up a multidimensional perspective for us to explore the educational mission of art institutions. 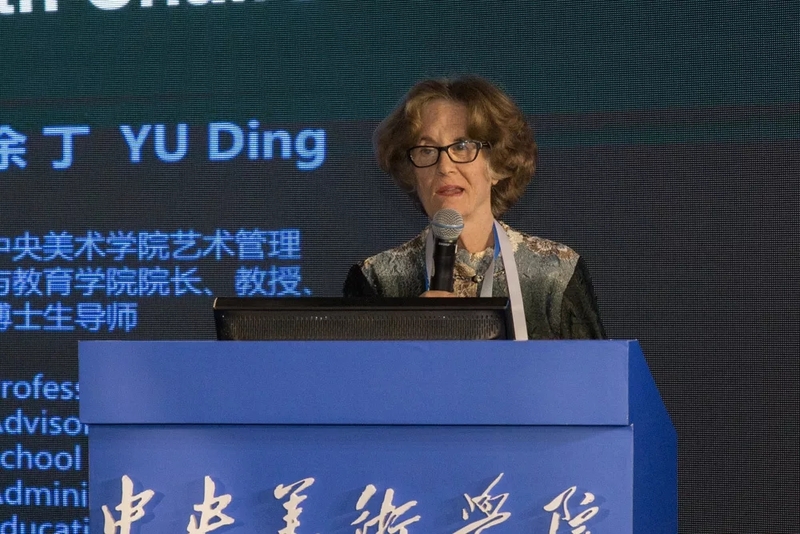 Focusing on the core content of the Art Management Forum, “The Education Mission of Art Institutions”, the journalist from the CAFA ART INFO interviewed Ms. Joan Jeffri at the event, who served as the Foreign Chair of the the Art Administration Forum, the retired professor and director in the program of Arts Administration of Columbia University as well as the former chair of The Association of Arts Administration Educators(AAAE) . 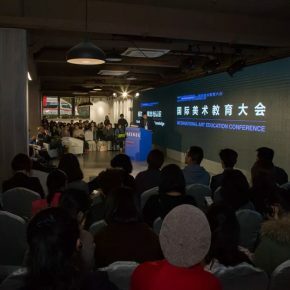 CAFA ART INFO: The theme of this Arts Administration Forum is “The Education Mission of Art Institutions”, how to understand the theme? Why do you think art institutions have educational functions? Joan Jeffri: OK. Well, that’s a very difficult question to say why. But historically, Many art institutions began with the educational function because they felt they were teaching the public about art. That’s the sure answer. 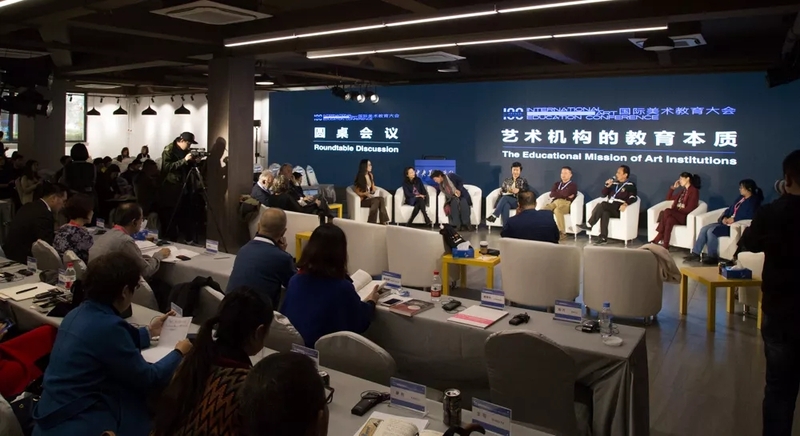 CAFA ART INFO: What are the characteristics or differences of the educational functions in art institutions if compared with teaching institutions such as universities? Joan Jeffri: It really depends on the system they’re in, and there are a lot of differences. I mean when you’re in the university system, you have to deal with certain regulations, and certain examinations, students are responsible for knowing certain things. When dealing with young children, you need to teach them skills that they don’t have. When you’re in the art institution, it’s a different kind of education. So you are not holding somebody’s hands to teach them how to draw. You’re exposing them to education. 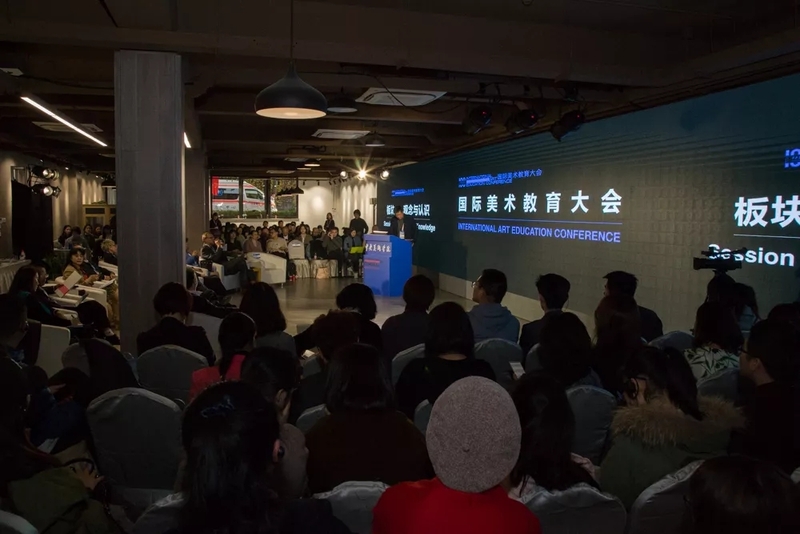 CAFA ART INFO: We have noticed that some auction houses have been invited to this conference which do not belong to non-profit organizations, what do you think of this phenomenon? Do you think the auction houses also have educational functions? How do you think they could realize the essence of education? Joan Jeffri: It’s a great question and I am very glad that auction houses are invited here. The profit and non-profit Sector are very gray, sometimes. Auction houses definitely educate even though they are in the profit sector. It doesn’t mean in the profit sector, you earn money that you can’t educate. If you are in non-profit sector you can’t make money. So I think we are all partners in the same field we are just in different places, and we should reinforce each other. And it’s very important for auction houses to educate customers. And I think auction houses and commercial galleries have functions very similar to museums.